I have a quite a passion for canning. 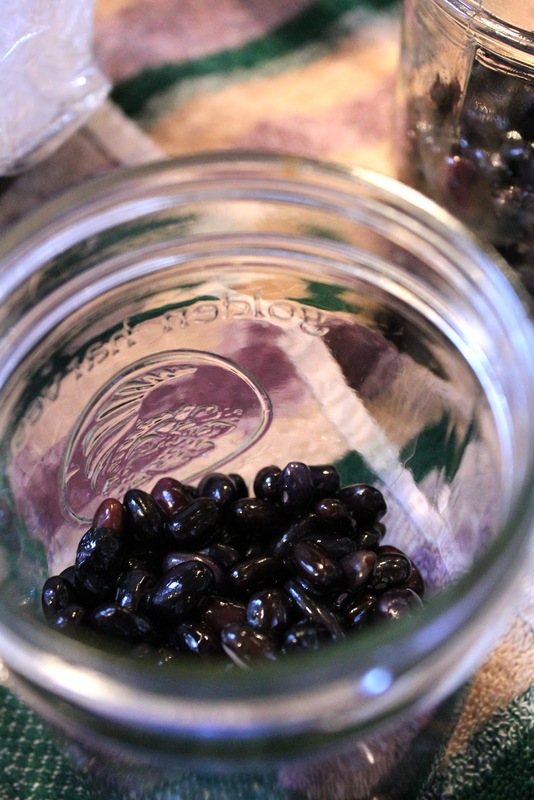 When it comes to canning, there are two different types. 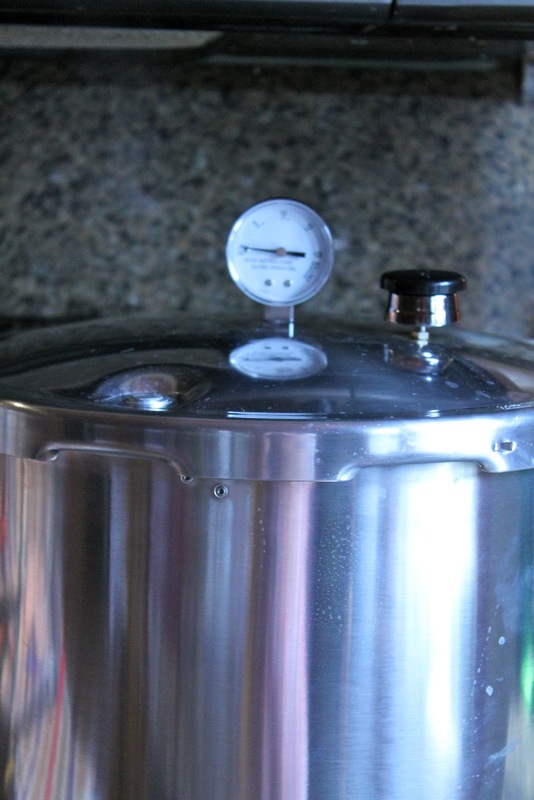 There is the uncomplicated, straightforward and easily monitored water bath canning and then there is complicated, pressurized, unpredictable pressure canning. I bet you can already tell which one I prefer. No matter. My canning group, We Three Canners, is not about easy. We are about learning and growing. And so, in the spirit of these aforementioned concepts, we wanted to learn to can beans. For that, you need to pressure can. The only other time we used the pressure canner was over the summer when we were confronted with 100 pounds of beets. The beet pressure canning experiment did not go well. Maybe that was why we haven't touched the pressure canner since about August. But we were much more confident going in this time. We gathered, beans in hand, and prepared to can. Perhaps we were a little overexcited to be back at the canning helm after our extended break over the holidays and winter season. We had a ton of beans. We had kidney beans, cannelini beans, pinto beans, black beans, pigeon peas, and white northern beans. It was a lot of beans. We had presoaked. We had researched and we were prepared. We failed miserably. Where do the details of our fail begin? At the beginning. 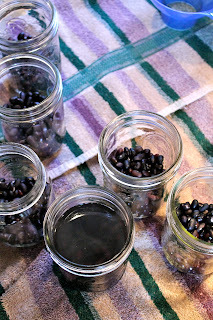 Going against all canning intuition, we didn't fill the jars with enough beans. That was the first batch--all black beans--and when we pulled them out of the canner, they were a mushy mess of black beans in way too much liquid. This would also be the point where I admit that I am a little scared of our pressure canner. My mother-in-law called me scaredy cat and she was right. I always think it's going to explode, and I'm always surprised when it doesn't. 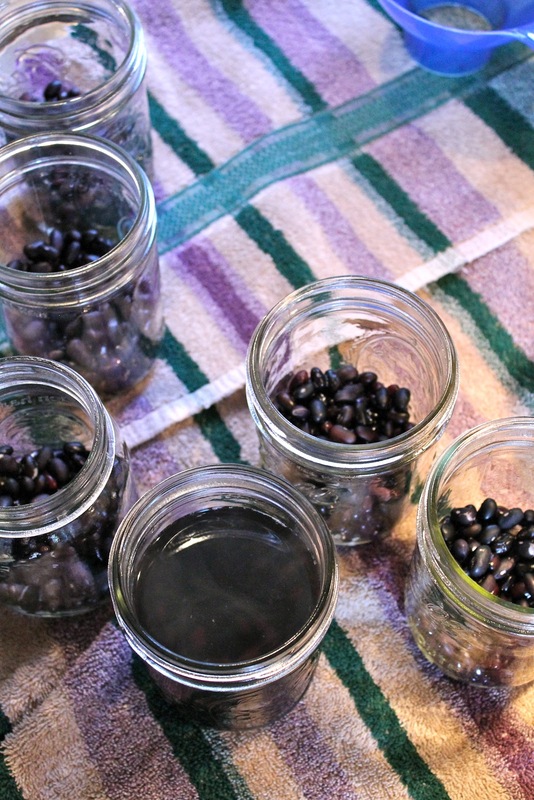 Somewhere between putting the first batch in the canner and taking it out, we also realized we had far too many beans. So, we started to form a plan B because at 65 minutes a batch, we weren't sure we would make it home in time for bed let alone dinner at the rate we were going. That was when we discovered that we could freeze the beans. What a relief! Our freezin' beans! 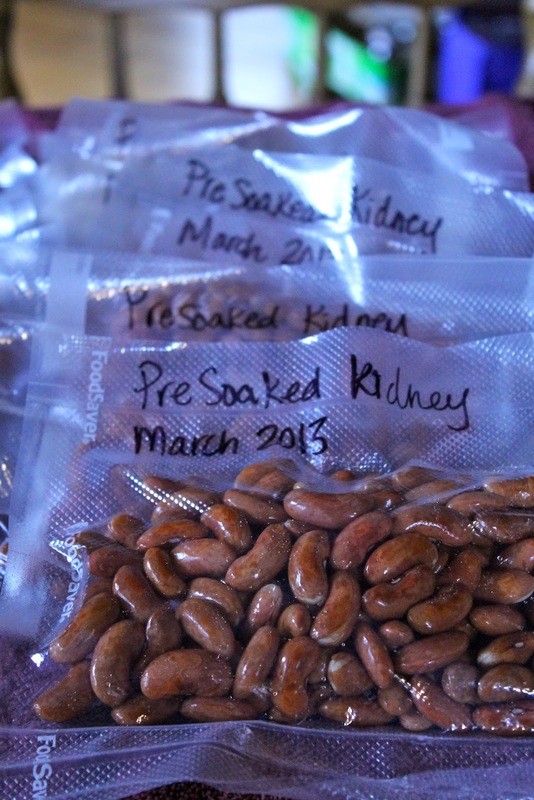 You will want to either cook them or pre-soak them. We just went with a presoak. Oh geez. This is one for the kitchen fail history books. Of course, We Three Canners have good attitudes about our failures. We laughed it off pretty good. And then we went back to the drawing board. Which also meant we hopped on google!!! Here's my mother and mother in law looking very serious about their research! 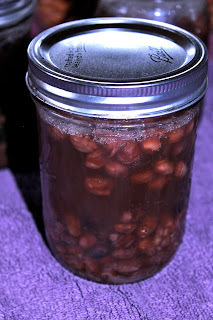 For the second batch in the canner, we decided to full pack the jars with the beans and fill with liquid. It was more successful than the first mangled batch of beans...and yet it was still not successful. My cannelini beans were way too soft, and then there was the issue that the jar didn't seal. 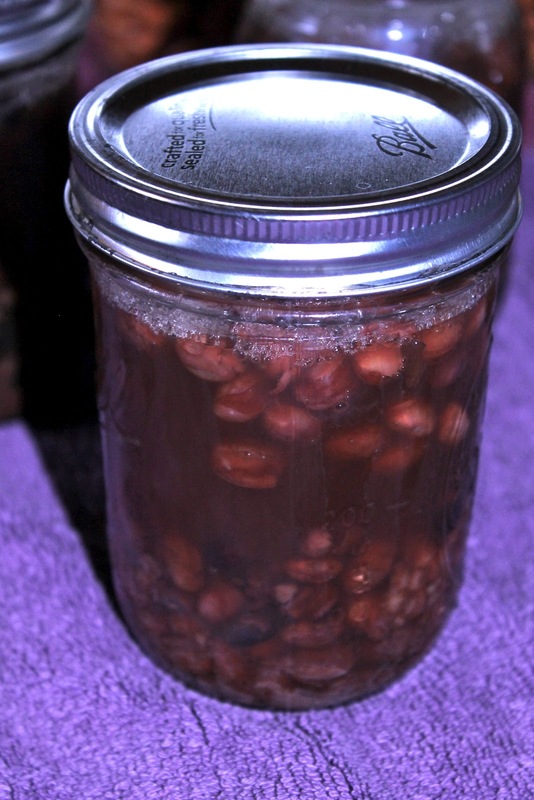 The pigeon peas turned out okay, but half the liquid in one of the jars magically disappeared. Don't be misled by this picture, either, we combined these jars to make them full. All in all? 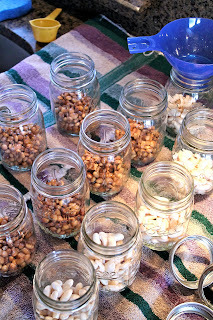 Six hours and we only got six--maybe more like four--usable jars. I don't know what goes on in that pressure canner when the lid is all sealed, but I know I have yet to get the hang of it. I sometimes feel like I hate pressure canning. Of course, we will keep trying our hands at pressure canning in an effort to master it as well as water bath canning....but it's tricker. It's definitely not as easy. But, in a way, it's refreshing to know that even a canning group as seasoned and well versed in water bath canning like ours can still have a good old kitchen fail every now and again. It keeps us humble. So tell me, what's one of your worst kitchen fails?! Don't be embarrassed--we all got them--share in the comments section below!